This week’s top stories from Young Farming Champions across the country. This week there is a woolly buzz in classrooms in Sydney and we are thrilled to launch the pilot of our new program Paddock to Plate Pen Pals. Supported by Australian Wool Innovation this new program will see students Google Hanging Out with our Young Farming Champions working in the wool and sheep supply chain. This is what teacher Zoe Stephens had to say ” What a great connection! The students were so engaged and interested. I think you may have inspired some students to become future vets! The medical equipment you showed the students were amazing, especially as they could identify that we use the same equipment for humans! Thanks for your time and enthusiasm! Elders Wool broker Sam Wan and sheep musterer Chloe Dutschke will beam into Carlingford West PS later this week. Paddock to Plate Pen Pals will also be supported by blog posts, social media and case-studies. In the Central Highlands of Queensland, YFC and Secretary of the Central Highlands Cotton Growers and Irrigators Association (CHCGIA) Alexandria Galea and YFC and Cotton Info Extension Officer Sharna Holman worked with a team to deliver a Teach the Teacher Tour to gain hands on experience of agriculture. Sixty teachers visited an irrigation farm, took a quick agronomy lesson and had a siphon starting competition. The adventure continued to a horticulture farm, to an automotive packing plant for citris and grapes and Fairbairn Dam. Events like this aim to inform teachers of farming practices and give them a positive and fun experience of agriculture so that they can share this knowledge in the classroom. Great work Alexandria and Sharna. Bianca Das (left) and YFC Anika Molesworth (right) will be setting off to Antarctica later this year. Friend of Art4Agriculture and consultancy guru Greg Mills caught up with Wool YFC Peta Bradley at Zone Junior Judging in Armidale. Peta was meat sheep judge and Greg was the steward. The winner and runner up from Armidale will compete at the zone final at Sydney Royal Easter Show next month. YFC and 2017/18 ADAMA Young Agronomist of the Year Runner-up Emma Ayliffe is fresh off the plane from ADAMA’s Young Agronomist study tour to Israel. 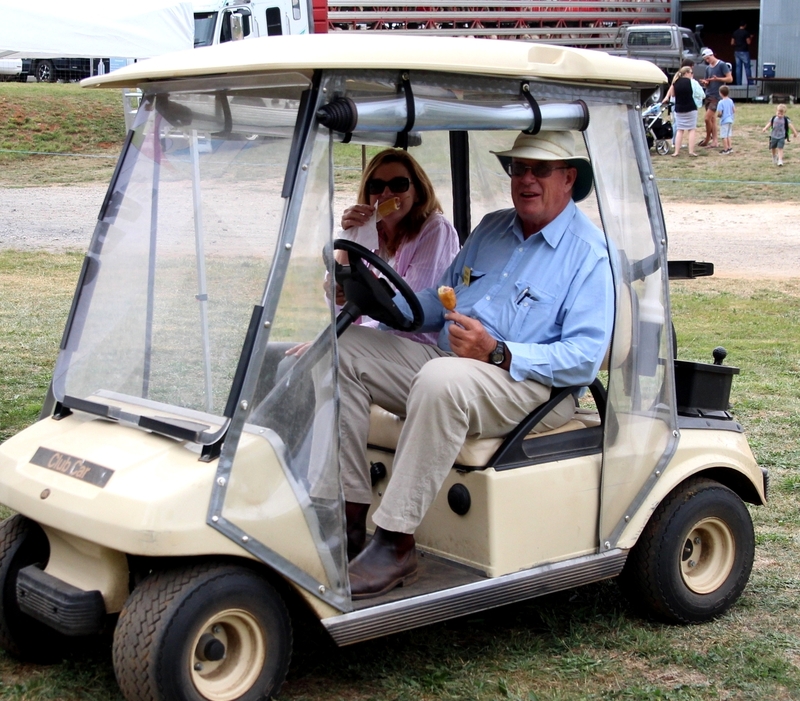 Emma and the study tour team had a jam-packed trip and returned with many agricultural insights. Stay tuned for Emma’s recap on the Picture You in Agriculture Facebook page this week! YFC Meg Rice attended a NSW Farmers workshop last week that was aimed at developing practical leadership skills in women. YFC and Local Landcare Coordinators (LLC) Erika Heffer and Jasmine Whitten are both off to Sydney this week for the Statewide LLC Gathering. Jasmine checked with the Picture You in Agriculture Facebook Page from the Dubbo airport this morning on her way to the big smoke. 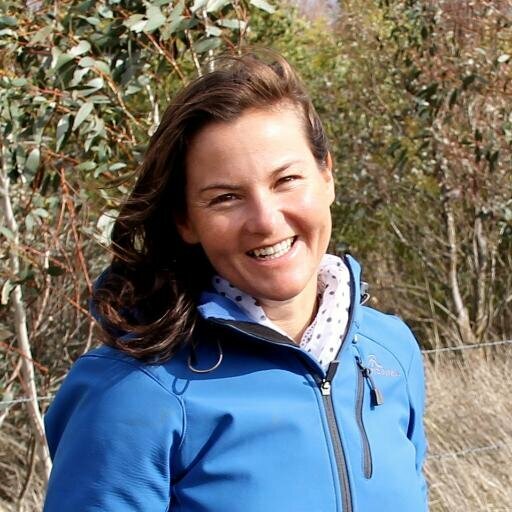 She’ll keep us updated on all the Landcare happenings this week, so keep an eye out! Wool YFC Chloe Dutschke is one of six finalists for the this year’s Peter Westblade Scholarship. The Scholarship exists to promote the practical skills associated with the sheep and wool industry and aims to deliver hands on experience and mentoring to young people aspiring to a career in the wool industry. The recipient of the 2019 Peter Westblade Scholarship will be announced at the scholarship dinner on April 4th. Good luck Chloe! IN 2019 there will be a smorgasbord of opportunities for schools to partner with our Young Farming Champions. In 2019 we will be rolling out our Primary School program Kreative Koalas – Design a Bright Future Challenge in Western Sydney and the Hunter. Kreative Koalas is an innovative STEM project-based learning program that focuses on the UN Sustainable Development Goals. It empowers teachers to engage young people with a diverse range of academic skills, provides them with teamwork, problem solving and communication skills and a creative vehicle to design real world projects that have real world impact. Provided with a blank fibreglass koala for students to create an artwork on or to use as the subject of an artwork which focuses on a sustainable development goal. Paired with Community Champions, business and community groups who hold the knowledge, wisdom and experience to assist the students to learn about local projects which are already addressing Australia’s Sustainable Development Goals (SDGs) commitment. 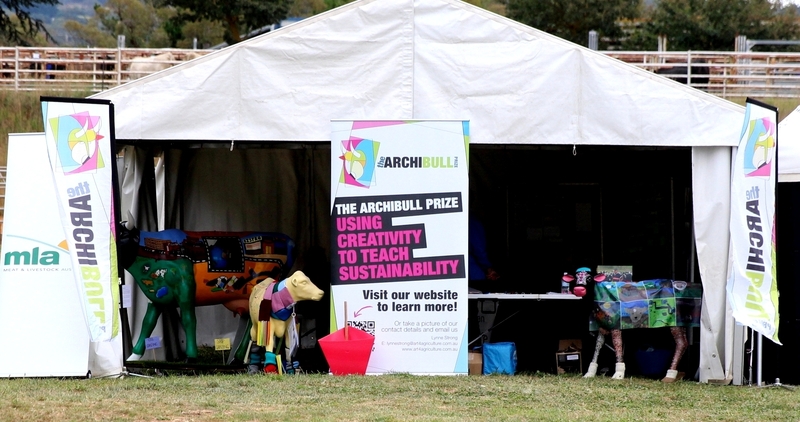 Using primary industries to reach and teach disadvantaged students is one benefit of The Archibull Prize. Each year The Archibull Prize engages with a wide range of amazing students and teachers and this year The Lakes College (TLC) from the NSW Central Coast has partnered with Picture You in Agriculture, the Foundation for Rural and Regional Renewal and Young Farming Champion Tim Eyes to study the beef industry. TLC is a small alternate high school for Years 9 and 10 and is part of Father Chris Riley’s Youth Off The Streets program. The school only opened in 2017, which makes this Archibull journey extra special and with 5 staff members and 24 students everyone is involved. TLC are “Raising the Steaks” as they learn about the beef industry with their Archie and mentoring them is Young Farming Champion Tim Eyes. 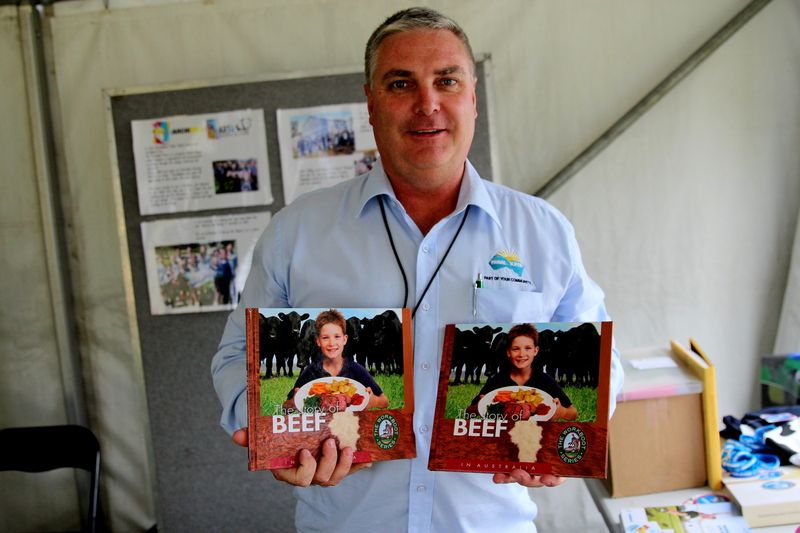 Tim is an agricultural contractor and co-founder (with his partner Hannah) of the successful Food Farm situated in Wyong Creek less than 10km from TLC. Tim and Hannah raise grass-fed beef, lamb, chicken, eggs and vegetables and regularly invite the public through the farm gate to see their sustainable brand of agriculture. On July 2 the students of TLC found themselves amongst the animals of the Food Farm. They dug for potatoes, collected fresh eggs, picked oranges from the tree and milked Joyce the dairy cow. For Tim, who has entertained children both in mainstream schools and at the Sydney Royal Easter Show, hosting the TLC students was an enjoyable and eye-opening experience. The Archibull journey of The Lakes College will be one to follow in 2018. “A lot of the students are quite artistic and I think they will be incredibly surprising on what they bring to the Archies,” Tim concludes. You can read all about The Lakes College’s visit to The Food Farm here on their Archibull blog. Conceived by the team at Picture You in Agriculture, The Archibull Prize is an annual program designed to give young people the skills to connect farmers and the community and to co-create a bright future for Australian agriculture. Armed with a life-sized fibreglass cow (or calf) and a paint kit, students will have the opportunity to research a specific agricultural industry and present their findings in art form. Multiple cash prizes, up to $1,000, are up for grabs as well as the coveted title of Grand Champion Archibull. Learn more on The Archibull Prize website. 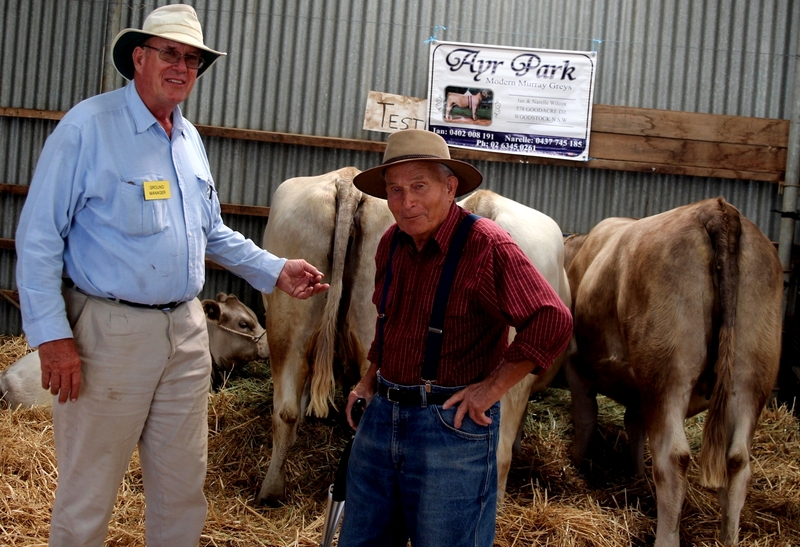 The Archibull Prize continues to influence how Australian agriculture is perceived. The theme for the 2018 Archibull Prize is ‘Feeding, Clothing and Powering a Hungry Nation is a Shared Responsibility’. Archies must be completed by September 20 and the Awards Ceremony will be held in Sydney on November 20. The 2018 Archibull Prize is proud to have supporting partners in Aussie Farmers Foundation, Cotton Australia, Australian Wool Innovation (AWI), Cotton Research and Development Corporation (CRDC), NSW Department of Primary Industries, NSW Local Land Services, Royal Agricultural Society of NSW and the Foundation for Rural and Regional Renewal. A great example is Young Farming Champion and Youth Voices Leadership Team member Laura Phelps who is currently a policy officer with the Department of Agriculture in Canberra has landed herself a job working with the British government on their BREXIT strategy. We look forward to Laura sharing her UK sojourn highlights with us. You don’t need to have an agricultural science degree to be excited about agriculture – that was the message Young Farming Champion Laura Phelps took to Years 9 and 10 students at Grenfell’s Henry Lawson High School recently. Laura was at the school as part of the 2018 Archibull Prize, where she introduced students and staff to the pork industry and the plethora of STEM careers available in agriculture. Laura was “blown away” by the teachers at Henry Lawson High School and their approach to The Archibull Prize, incorporating high-level biology and chemical technology. As the school is in an agricultural zone many of the students already had a good understanding of agriculture and how this technology can be applied, but Laura found most students thought a career in agriculture involved doing an ag-science degree. Many of the students had strong ideas about their future careers with some wishing to be agronomists and one hoping to develop agricultural apps. “He can see all the smart-farm technology that is happening in the United States and he wants to be able to build it himself,” Laura said. Talking about agricultural careers to teenagers in conjunction with The Archibull Prize comes at an opportune time as students make crucial decisions on their educational future. To have a young farming professional such as Laura Phelps share her experiences only makes the decisions better informed, and raises excitement about STEM-based careers. On behalf of the Picture You in Agriculture (PYiA) team it gives me great pleasure to share the PYiA annual report with our loyal supporters. Ten years ago, we started with a vision to empower young people in the agriculture to share their stories and, in doing so, engage with the community to raise awareness and increase appreciation of the Australian agriculture sector. Ten years down the track we are delighted and humbled to know this is now a reality. With our cornerstone programs, Young Farming Champions and The Archibull Prize, we are exceeding our initial goals and taking our expectations to new levels. The 2017 Annual Report highlights these successes. Creation of a media presence as youth with high credentials and strong reputations as witnessed in recent ABC Rural YFC interview Series on Country Hour. Establishment of a Youth Voices Leadership Team to mentor and support the Young Farming Champions and provide an agricultural youth leadership voice to community, media and industry. Post participating in the program all students had positive attitudes towards farmers’ environmental stewardship and water resource management. 73% of teachers reported having changed the way they now think about agriculture. In particular, understanding agricultural systems from farm to final product and the challenges facing farmers. There has been an increased respect for farmers, those supporting farmers, and appreciation of the high level of competence it takes to deliver food and fibre to the community. Much of this is due to two factors: contact with Young Farming Champions and other farming / agricultural professionals; and learning about sustainability challenges affecting Agriculture through topics such as Climate Change, Biosecurity, Food Security and Waste, Renewable Energy, Healthy Communities. Teachers observed a significant increase in student interest in careers in Agriculture. At the end of the program students were able to mention more than three different careers in Agriculture with a focus on STEM e.g. agronomist, engineer, scientist, geneticist. Students also identified STEM related career pathways in agriculture they would like to follow. See page 19 of The Archibull Prize report here. This is in complete contrast to The Archibull Prize student entry survey where students were only able to list farming related activities and unable to list a career in agriculture. Teachers attributed this change largely to meeting a Young Farming Champion (YFC). Students developed an appreciation of the physical aspects of farming; as well as admiration for the professionalism, knowledge, work skills and ethic and personal passion of each YFC. They gained insights into farm practices and potential career pathways through hearing the YFC’s story. We look forward to sharing our 2018 journey with you. Our YFC help agriculture to build its fan base and encourage young people from all walks of life to join them and follow their career pathway into the agriculture sector. Since 2010 they have being doing this very successfully through The Archibull Prize.See our 2017 Annual Report here. The Archibull Prize is a world first. A competition that uses art and multimedia to engage school students in genuine farm experiences, and gain knowledge and skills about the production of the food they eat, the fibres they use and the environment they live in. 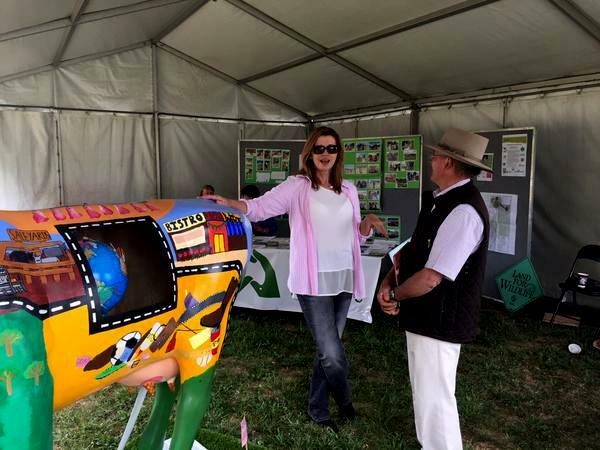 Young Farming Champions (YFC) participate in The Archibull Prize by visiting and mentoring schools, sharing their stories and insights into contemporary farming practices and inspiring students to consider careers in agriculture. Over the past three years the YFC have been spreading the agriculture love far and wide as keynote speakers at conferences, delivering TED talks and running events and workshops across the country. I cant think of a better way to kickstart 2018 than a partnership with the agriculture education team at the Sydney Royal Easter Show. In the lead up to the show we will be inviting Primary School students to sign up to meet the YFC team on Primary School Preview Day in The Food Farm. Students meeting the YFC will participate in hands on workshops for the Cotton, Wool, Horticulture and Egg Industries. They can also chat to YFC and farmer Tim Eyes who will be the star attraction at the Thank a Customer workshop. I have spent most of my time at local shows either showing cows or horses. I caught up with some ladies working and supporting rural mental health through the Rural Adversity Mental Health program and we had our picture taken for the local paper. Where we met Ernie Stevenson an early and influential member of the Murray Grey society. Back at the tent I met local cattle farmer Ken Wheelwright who is part of the KLR Mastermind Group.